JSC Consultus Magnus – a modern consultancy company successfully operating in Lithuania since 1997. The company gives special attention to the quality of service and an individual approach to every customer. JSC Consultus Magnus works at transport, education, social services, human resources, information technology, environmental, business environment and tourism sectors. 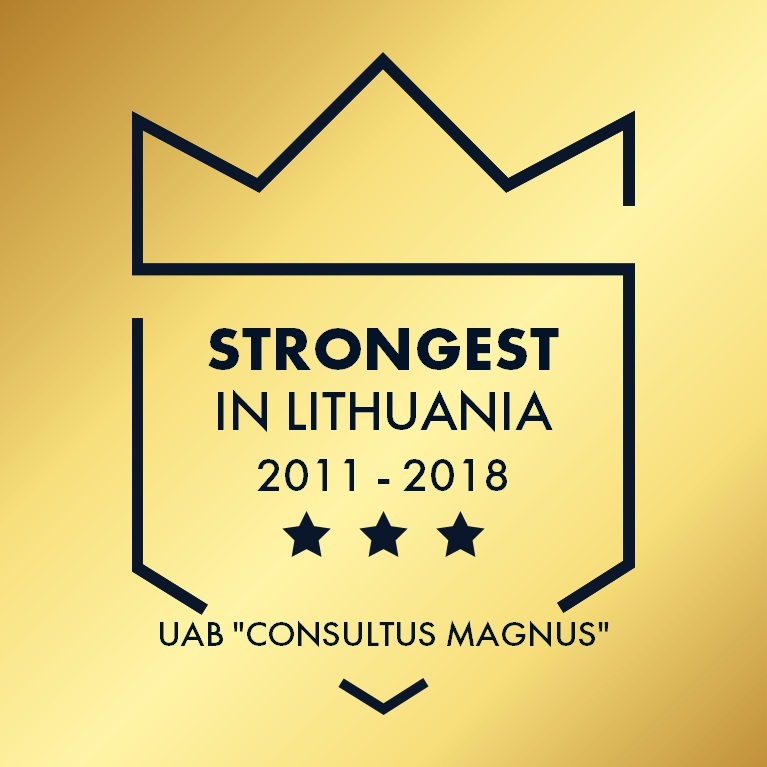 UAB „Consultus Magnus“ is providing services in Lithuanian and international markets. Company is successfully implementing projects in Belorussia, Ukraine, Georgia, Moldova. To help organizations to grow and create added value in solving all the problems related to the financing, investments, researches and development possibilities. To be a successful consulting / advisory company in Lithuania, providing fund attraction and related services from a various support, investment and other funds. Our company has been working for 17 years. We have developed more than 200 applications for the EU Structural Funds and other international funding of the total project budget of over 120 million euro. We have managed more than 33 EU structural funding projects, we have prepared more than 11 investment projects, more than 25 feasibility studies, more than 7 publicity contracts.